Going slightly out of the limb here, let’s assume you are looking for effective ways to maintain your driveway and patio. Given you want simple steps to achieve this, follow us along your journey to a healthy, clean block paving. Ensuring a long lasting and strong structure is a key factor in the maintenance of your driveway. Which is why the first and foremost advice from us, is to clean your block paving patio every 6-12 months. Moss and weeds are unfortunately something that you can not avoid. They are nature’s way to claim back the land. However, this is not a fight they will win. Moss cleaner, that you can pick up in any DIY store, will kill moss and block paving weeds effectively. Follow the instructions on the product on how to clean block paving moss. Once you have left the moss killer for block paving to do its job, it will be time for you to get out the hard scraper. Notably, you could always use pressure cleaning for a faster and more fun alternative. But, for those of you that do not have a jet wash, using a bit of elbow grease to scrape away the browning weeds is the next best thing. Using a hard bristled broom, brush off any loose debris, being warey of the joints. A great tip for this is to brush between the paving slabs with the broom sideways. This ensures any loose dirt gets swept away and does not get built up or trapped inside the cracks. Lastly, chuck a few buckets of soapy water onto your driveway, being careful not to splash passers by. On second thoughts, maybe splash a few unexpected pedestrians to make the job of cleaning paving more entertaining. You can also use a block paving cleaner that is specifically for lifting up any oil or grease stains. Then scrub away at the patches until you have mastered the art of cleaning paving stones. That is right, paving cleaning is in itself an art, an art of perseverance and rewarding cleanliness. Give your driveway a scrub with a strong bristled broom again then rinse it away with clean water. The task of driveway cleaning or cleaning patio is over. Well done, now all is left is for you to repeat these steps in 6-12 months time. Now you know all the steps to take in order to achieve and maintain your driveway and patio, go forth and clean. An extra tip to make the job feel less of a chore; listen to music or a podcast during the process. 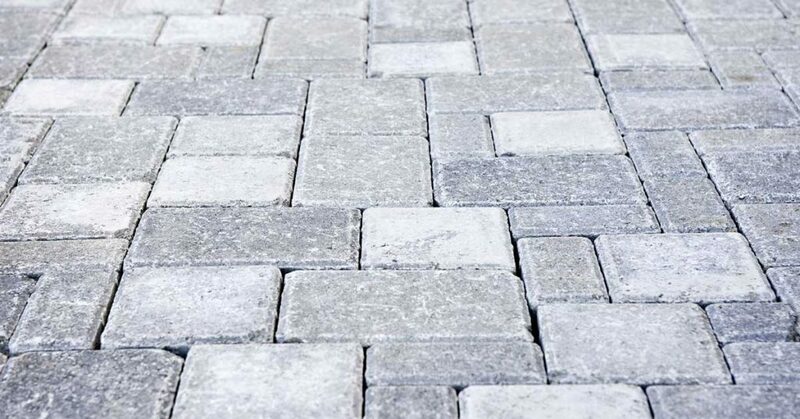 If you have found this information useful, or want to use our block paving services then give us a call on 0161 833 5416 or 0124 474 4125 or email us using the contact form. Read our block paving & driveway lighting ideas blog post and find the perfect driveway or patio lighting option for your home.